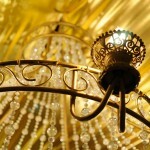 When it comes to do-it-yourself projects, installing low-voltage lighting can make one of the biggest impacts. By installing low-voltage outdoor lighting you can illuminate staircases, footpaths and dark areas, or lighting can be used to add dramatic accents to your property. 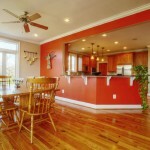 Because the lighting is low-voltage, this is a project that is safe for persons of all skill levels to take on. Purchase a transformer with a higher capacity than you need. This will allow for easy expansion in the future. Take into account seasonal changes. Don’t install lights where they are at risk of being damaged by shovels or snowplows. First, lay your fixtures and connecting wire out around your property. 10-gauge wire should be used between where the lights start and the transformer, while 12-gauge wire is to be used between the fixtures. Wire crossing the lawn needs to be buried 6 inches deep using a flat tipped shovel. In flower beds wires can be covered by soil or mulch. Your transformer should be installed beside an outdoor outlet in a central location, and consider mounting it to a post for easy access. Your transformer is going to be plugged in year round, so be sure to install a weatherproof outlet cover. To connect your 10-gauge wires, first strip off ¾ in. insulation, twist the ends of the exposed wiring together, then connect the wires to the terminals on your transformer. 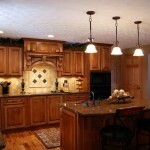 The stakes that come with top-heavy fixtures such as cone lights are not sufficient to hold them in place permanently. Instead, fabricate a sturdier base out of PVC and copper piping. Wires between lights will need to be connected with a weatherproof connection. Weatherproof connectors contain a sealant within the shielding to block out the elements. If your fixtures already came with connectors, remove them and strip the insulation back ½ in., then install the appropriate connectors. Dig a small hole such that the base of the fixtures is flush with the ground surface. Use a small level to ensure that standing fixtures such a path lights are straight, then refill and pack the hole. Use a voltmeter to check the voltage across each fixture. Halogen lights require between 12 and 10.5 volts to operate properly. Your transformer has voltage controls that can be used to make minor adjustments, but extremely low voltage readings indicate a poor connection in the system. Do not be tempted to use the connectors that come with your fixtures. Proper weatherproof fittings will last longer and are much more solid. The final step should be burying the wires. Lay out the system, hook it up, test it, and wait for night time to determine if the results are what you desire. Allot a bit of extra wire when hooking up your fixtures. Doing so will allow you a little bit of play in fixture position even after you’ve hooked everything up. Consider that voltage drops as your lights get farther away from your transformer. To combat this issue make a tee junction, allowing you to run two short lines as opposed to one long line. Another way to handle voltage drop is to use wire of a thicker gauge.